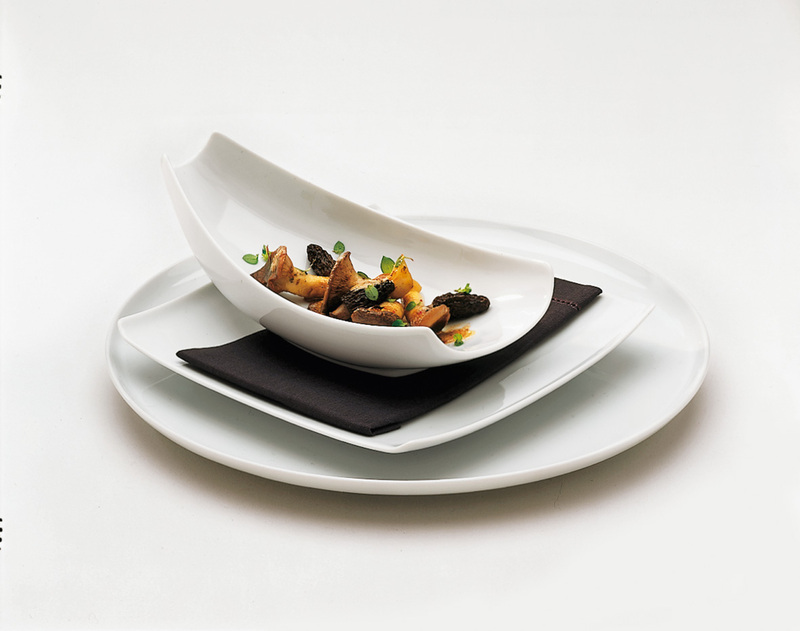 Tafelstern Essentials Collection, realised in pieces of the highest quality hard porcelain. The leaf form lets fantasy or necessity create a diversity of functions for the presentation of fine foods. Available in various sizes to ensure perfect table entertainment. This extraordinary platter is an ideal complement to the endive leaf bowls. It may be employed directly for serving or as a foundation for smaller bowls and plates. Individual elements of a dish can be presented in an attractive way and thus support the trend towards serving dishes in small portions. Beginning with the smallest for amuse-bouche, to the largest platters for main dishes. Always a decorative eye-catcher on any table. Each individual piece, manufactured in Germany in white hard porcelain, has its own delicate elegance. They are easy to use for serving, and can be simply and effectively combined with many other TAFELSTERN styles and concepts. 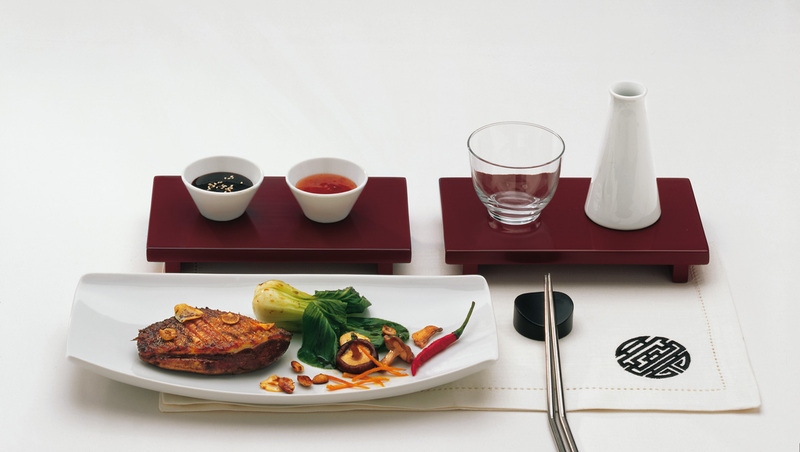 They are new and premium pieces in modular form, wonderfully adaptable for the appropriate presentation of the widest variety of culinary trends. 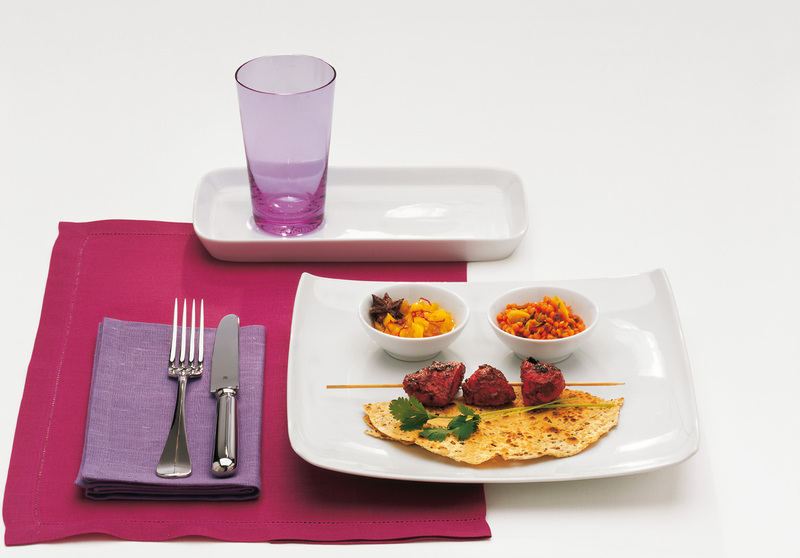 Tafelstern Essentials Collection from Houseware International.